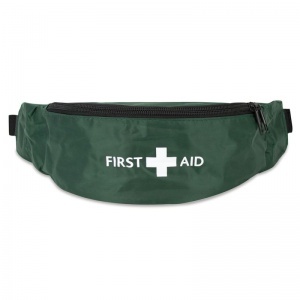 For easy portability of first aid materials when the appointed health and safety person is on the go, use the Green Riga First Aid Bum Bag to carry everything you would need in the event on an emergency. Providing you with an easier way to keep your supplies close at hand without being burdensome to you, the First Aid Bum Bag is suitable for travellers, amateur sports events and more. Held in place by quick-release clips, this strong, lightweight bag is comfortable to wear and secures simply around the waist. It is ideal for those who are constantly on the move, from shop floor staff to teachers on playground duty, or for those who frequently travel away from their main work base. With sufficient room to contain the basic contents of a small first aid kit, the Riga Bum Bag provides the perfect solution for emergencies which require immediate action. With an easy to open zip and non-restrictive belt, this bag is discreet to wear and won't get in the way of your everyday duties. 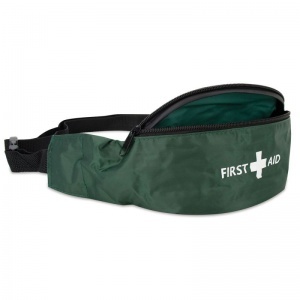 Please be aware that the Riga First Aid Bum Bag is supplied empty and first aid materials must be purchased separately. 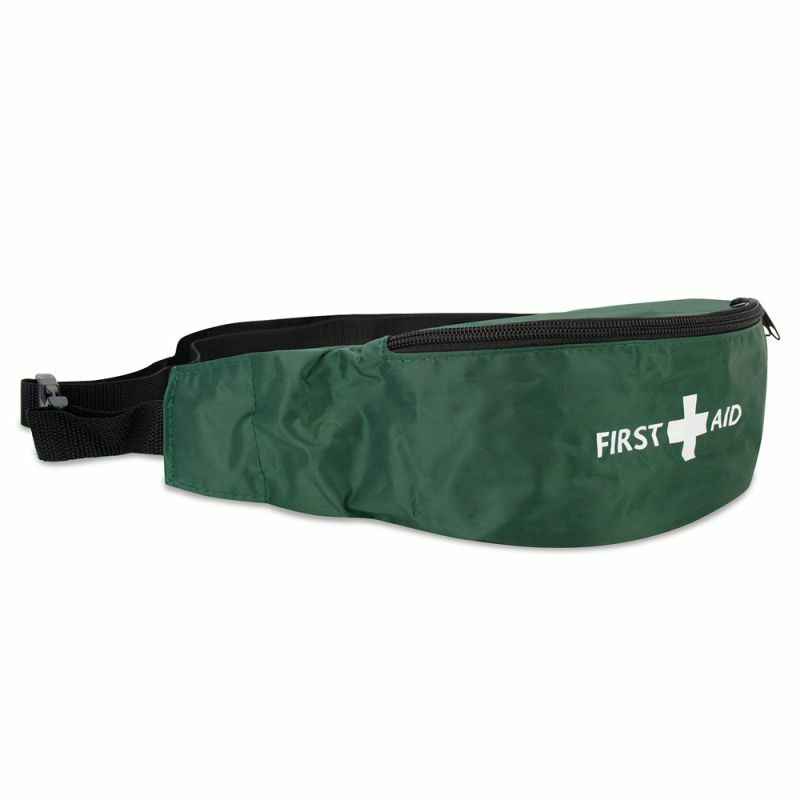 The Green Riga First Aid Bum Bag is usually dispatched via First Class Royal Mail and delivery should be within 1 to 3 working days.